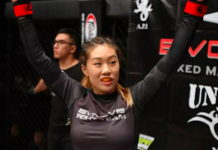 At the tender young age of 19, Singapore’s “Unstoppable” Angela Lee became the youngest world champion in mixed martial arts history. She captured the inaugural ONE Atomweight World Championship in 2016. 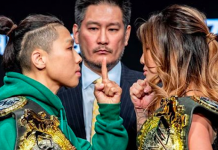 Lee accomplished the feat by defeating Japanese MMA veteran Mei Yamaguchi, powering through a back and forth battle to win the title. Since then, Lee has shot to superstardom, and has become one of the most exciting female fighters in the world. Coming from a family of decorated martial artists, Lee has dazzled audiences with her well-rounded grappling skill set. Her incredible array of submissions is impressive as she has proven to be a tremendous BJJ practitioner. Her agility and flexibility allow her to execute effortless transitions. Spinning a web of grappling mastery, Lee forces her opponents to commit mistakes which she then capitalizes on. She has even successfully executed a Twister, which is an extremely rare submission in professional MMA. 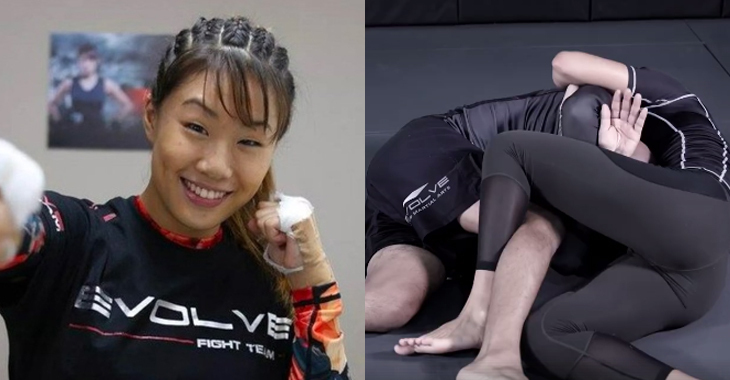 With five of her seven total career wins coming by submission, it’s safe to say that Lee is one of the most dangerous grapplers in women’s MMA. In this latest video, Lee is seen with 10th Planet Jiu-Jitsu Black Belt “Slick” Rick Marshall. She demonstrates how to correctly pull off an anaconda choke, highlighting six key factors to the technique. Of course, it is never as easy as it is in instructional videos. Lee has obviously worked on this particular move on numerous occasions. But if you follow exactly how Lee illustrated it, you should be able to add this move to your arsenal. Grappling is part of what makes Lee an exciting fighter, and fans can’t wait to see her back inside the cage defending her title. 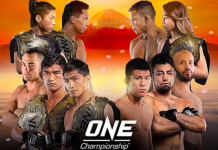 Lee is scheduled to make her next appearance at ONE: Dynasty of Heroes which takes place May 26 at the Singapore Indoor Stadium. She takes on undefeated Brazilian Istela Nunes.